This is a sort of response to the whole ‘Big Brother’ scandal from Issue 5 – so lets get a little background. Edward Snowden, an ex-worker at the American intelligence gathering organization NSA (National Security Agency), leaked details of/told the world of the Prism program run by them. They basically watch everything and everyone – they collect phone records, online account information – every detail of your social lives. We learnt that there is no privacy, and no hiding from the NSA. However, John Mcafee, fugitive millionaire, software engineering genius, revolutionary hacker, and founder of the world famous Mcafee anti-virus company, seems to think otherwise. This week he launched his coolest product yet – the D-Central – “little black box” that will hide you from the spying NSA, and anyone else. The features he claims it will have are amazing, unbelievably so – its probable that some of them will be absent from the final product. But the prototype, he says, will fit into your pocket, and yet produce a wireless network between 200 & 400 meters (that’s massive) – all this from a battery powered, $100 device. It gives you secure, inscrutable, truly incognito way to connect to the Internet – it’s the anti-NSA router. 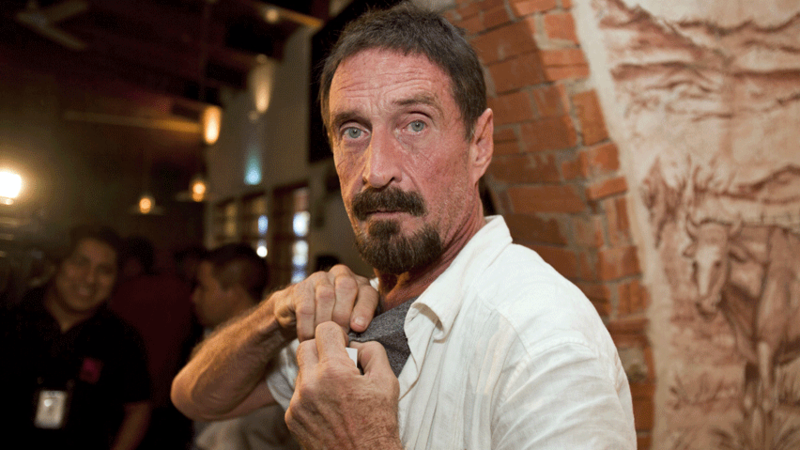 The price is the most difficult to believe, but remember – this is the same eccentric man who founded Mcafee against all odds and then sold it, who is implicated in a murder case, and a genius superhacker – anything is possible.